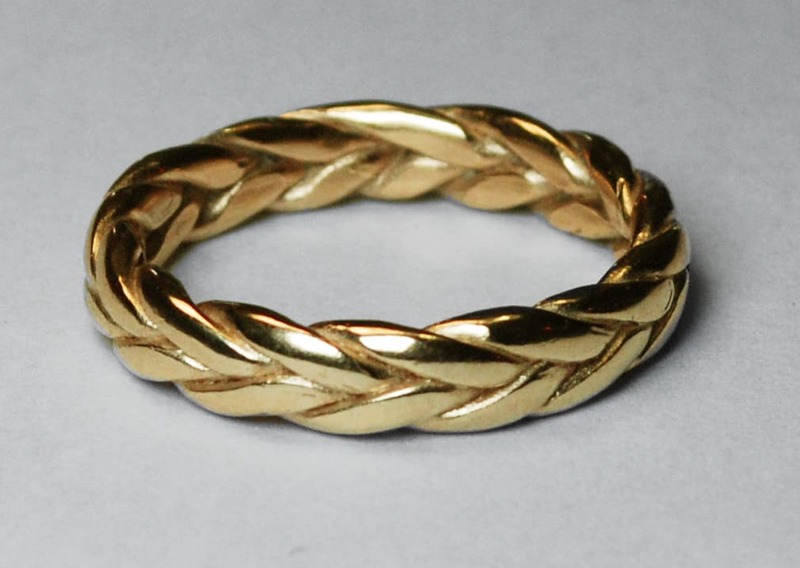 A beautiful wide 14k gold braid ring. 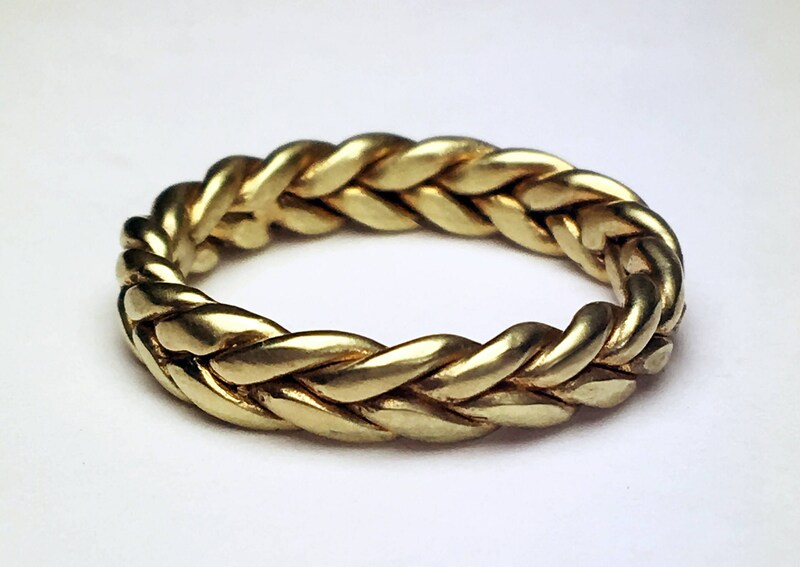 Cast solid in recycled yellow gold this is a classically beautiful ring. The width of this ring varies between 4.8-5.1mm (sizes 9-10.5 width is closer to 4.8mm and sizes 10.5-12 width is closer to 5mm). Please contact me if you would like this ring made in a smaller size or different color or karat of gold.